Sometimes, planning permission is required for a home improvement project. Building Regulations may apply instead of– or in addition to – planning regulations. Understanding when these guidelines apply is essential before instructing work to begin on your Bristol or Bath home. The advice offered in this short guide is for information only and should not be used to decide about whether to proceed with a project. Panoramic can answer your design questions or you can contact your local authority in Bristol or Bath for guidance. Building regulations exist to ensure a building is safe. They also define standards relating to the conservation of fuel and power, while also ensuring relevant constructions are accessible to everyone and designed to allow appropriate and safe access. Planning Permission generally covers issues like the size or appearance of a proposed extension, how the development will be used, the impact it will have on the immediate area and access. Planning permission is not always required in the Bristol and Bath areas, as proposed builds are often seen as permitted developments. If you want to extend your home, contact us for guidance. Below are examples of domestic situations where planning permission might be required for a home improvement project. Heritage Buildings and Conservation Areas. If your home in Bristol or Bath is located in a conservation area or has listed status, specific consent may be required from your local authority’s planning department. The above regulations apply to ensure the appearance of a home and that of the surrounding area. To check whether consent is needed, you can check online if your Bristol or Bath home is a heritage property. Solar Panels. In most cases, planning permission isn’t required to install solar panels. It’s advisable to double-check with your local authority’s planning department in Bristol or Avon before proceeding. 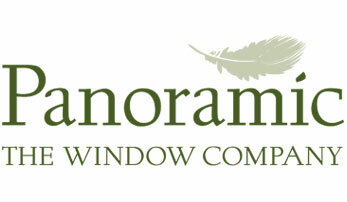 Panoramic designs and installs conservatories, orangeries and conservatories for its customers. We also offer a range of market-leading window and door products. We’re often asked whether planning permission is needed to install our double glazing at our customers’ homes throughout the Bristol and Avon areas. Planning Permission could be required if your new project involves building a new extension, conservatory, orangery or extending into your loft space. The above list of scenarios is not exhaustive. You can use the UK Online Planning Portal to check whether consent is needed or speak to your installer. Below are some of the questions we’re frequently asked by our customers in Bristol and Bath. How big can an extension be? If you’re planning on adding some extra space to your home, planning permission may be needed. Your new room should not occupy more than 50% of the area within your curtilage, including. You’ll need to consider existing structures – like sheds and greenhouses – when performing your calculations. Can I remove internal doors? If your proposed structure will be separated from your home by internal doors, planning permission will be granted – provided other criteria are met. If your plan excludes connecting doors, Building Regulations may apply. Can I apply for planning permission? If you want to check whether your design is compliant, you can apply for a Lawful Development Certificate. The document can be obtained online and sent to your local authority – whether that’s in Bristol or Bath. There is a fee to check whether your design meets planning permission guidelines. Panoramic Windows can advise its customers regarding this process and liaise with the relevant local authority where needed. If you’re planning a project and want more information about our products and planning permission, please contact us. Even if planning permission isn’t required, your construction may be subject to approval if it will affect a shared wall – for example, by excavating close to a shared boundary. If the above scenario is true, you may need to notify your neighbour of your intention under the Party Wall act. You will need to download the guide and follow the instructions in the leaflet. If you have questions about your planned construction – and whether it meets requirements – you’ll be able to find out more by visiting the following online resources. Planning Portal. Find out more about planning permission or building regulations, download documents and use virtual online tools to check your design plans. Building Regulations. Get answers to commonly asked questions and access a range of documents using a filter to organise results and get the best response. Planning Permission. Answers to almost all of your planning permission questions can be found here. Find the documents you need and organise your project. Panoramic Windows can answer your questions, advise on the design of your proposed build and liaise on your behalf with the relevant bodies to ensure your installation is compliant. Contact us via email or call 01179 560321 for further details.